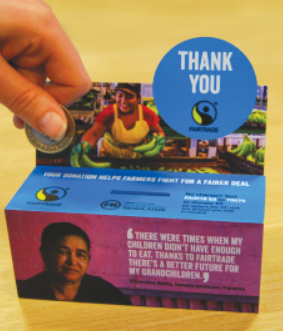 Fairtrade Fortnight aims to put a spotlight on trade. When trade is fair it has the potential to improve the lives of the farmers and workers who grow our food and it can it can make the world a better place. For 2019, Fairtrade Fortnight will focus on cocoa. Farmers of this much-loved product have seen prices fall to crisis levels in the last few years, making life incredibly difficult for cocoa farmers. This is especially true in West Africa where most cocoa is grown. They are also launching a new 3-year campaign that will encourage everyone in the cocoa sector – consumers, companies, governments and others – to play their part and make a living income a reality for cocoa farmers. Whether it be a pop-up café, a school assembly or an exhibition, share your love of Fairtrade with parents, the community or other schools by inviting them to come on in. The Fair-trade website also contains a range of resources, including an assembly that can used to introduce the fortnight in school. These resources are all completely free and cover their usual subjects areas like PSHE and Geography but also new ones including Music, Black History, Business studies and English. You can also order an event pack including posters for your school here. You can also sign up to become a Fairtrade school, becoming a Fairtrade School means joining a worldwide movement – a movement where young people learn that, whatever their age, they have the power to make a difference in the world. It offers a great opportunity to look at global issues such as where our food comes from and how we are connected to people around the world. Students can also learn a range of skills, from teamwork and co-operation to persuasive writing to running a stall or tuck shop. Students could use the j2e tool suite, to write letters explaining why using fairtrade products make a real difference, produce a recipe book using fairtrade ingredients or even use JIT to create an animation that shows the cocoa growing process. Busythings have a great labelling activity looking at the principal cocoa producing countries, which would be a fantastic way to introduce the theme for the fortnight. If you are looking for recipes why not use Cookit the main purpose of this resource is to improve pupils’ skills, understanding and enjoyment of food and healthy eating. The site provides support for the teaching and learning of a wide range of basic skills and processes. It encourages and inspires learners to explore cooking and to create and share their own recipes, using both the site and mobile devices. There are a wide range of recipes all using chocolate so would be perfect to use during this cacao focussed faritrade fortnight. The site also has strong cross curriculum links to History (Prehistoric to Modern), Citizenship,Sciences, Literacy (instructional writing), Maths (measures) and RE (celebrations), as well as a rich bank of modern recipes ranging from simple “no cook” recipes to complex, multi-step dishes. Growing up around the world from LGfL can also be used during this fortnight to support your teaching. Over more than two decades, the charity tve followed the lives of 11 children in 10 different countries to make a series of groundbreaking films. A precursor to the BBC’s “Child of our Time” series, this resource provides a unique insight into what it means to grow up in different parts of the world; the challenges, hopes and dreams of the 11 children and the impact of the world around them. Growing up around the World aims to help UK children understand the realities of childhood indifferent contexts. Strikingly, many of the struggles and challenges the children encounter are universal, from the UK to South Africa to India. Designed for use in Citizenship, PSHE or Geography lessons, the videos introduce Key Stage 2, 3and 4 pupils to human rights, building an understanding of the issues facing people around the world. The resources come with a comprehensive teacher pack with full lesson plans, starter activities, sample worksheets, a dictionary of key terms and tips for expanding on the material provided in the resource. The tve:Relay resource offers an insight into how young people across the world communicate their ideas about the environment. Originally produced in partnership between tve and Bloomberg, the original tve: Relay saw 22young people from across the global create short videos about issues of concern to them about the environment. The relay started in the UK – and then the relay challenge worked its way around 22 different countries. Each video provides a different focus, style and message, offering a unique insight into a range of issues that matter to the next generation. Some videos are made about concerns in other parts of the world, and other focus on issues closer to home. Some humorous, some minimalist, some complex and some simple…each video offers a unique message about issues of concern to children around the world. Fairtrade Fortnight aims to put a spotlight on trade. When trade is fair it has the potential to improve the lives of the farmers and workers who grow our food. When trade is fair, it can make the world a better place. 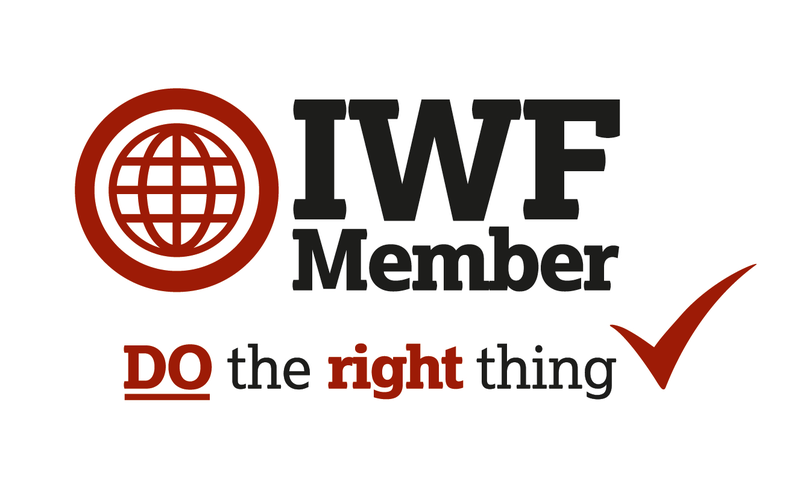 Together we have that power, so why not get involved and be part of the difference. For 2018, the theme is to ‘come on in’ to Fairtrade to stand with farmers and close the door on exploitation. Whether it be a pop-up café, a school assembly or an exhibition, share your love of Fairtrade with parents, the community or other schools by inviting them to come on in. Schools can also enter the Fairtrade Fortnight Award with a chance to win £350 to spend on your future Fairtrade activities – there’s more information here. Schools Action Guide – with loads of ideas for how your school can get involved. Virtual Reality Field Trip – Secondary School lesson plan with quiz using ‘Samuel’s Fairtrade story’. Follow with Kenyan Coffee worksheet. Introducing Coobana Banana Co-operative – quiz and discussion to introduce Central America, Panama and the Banana trade. Songs and Poems of Banana workers – Songs like Harry Belafonte’s Day-O (The Banana Boat Song) are great for assemblies, now learn what they mean and gain an understanding of the struggle of Banana workers to gain respect and fair working conditions. Traidcraft also has a range of resources for Key stages 1-5 to support the teaching during FairTrade fortnight as well as ideas of how to involve the students including a Fair Trade Bake Off! Other ideas include selling Fair Trade produce during school snack times and visiting local shops to see how many Fair Trade products that they stock. If you are looking for recipes why not use Cookit the main purpose of this resource is to improve pupils’ skills, understanding and enjoyment of food and healthy eating.The site provides support for the teaching and learning of a wide range of basic skills and processes. It encourages and inspires learners to explore cooking and to create and share their own recipes, using both the site and mobile devices. The site also has strong cross curriculum links to History (Prehistoric to Modern), Citizenship,Sciences, Literacy (instructional writing), Maths (measures) and RE (celebrations), as well as a rich bank of modern recipes ranging from simple “no cook” recipes to complex, multi-step dishes.